!Top rated 2008 y 2009! 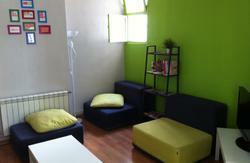 Brand New Hostel One of the most modern Youth Hostels located in the heart of downtown Madrid. 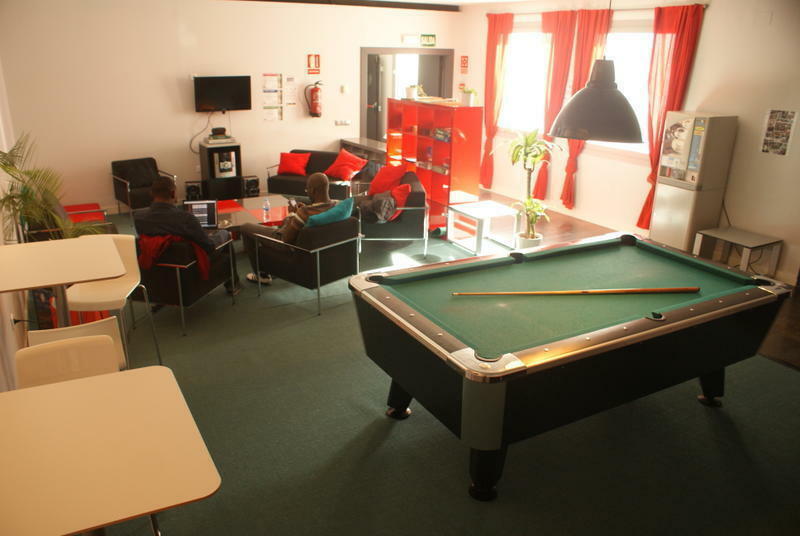 The hostel is equipped with some of the most modern facilities making it one of the best youth hostels in Europe. Activities organized every day. You have to check in before 03:00pm. If you can't, you Must tell us o by phone o by mail. 2.50 euro for people of more than 26 years old. We provide Spanish breakfast, Bed linen for free, Personal Lockers for free, Internet for free, Access to the hostel services for free. Optional towel service for 3 EUR. We are at your service 24 hours a day. We will inform you about the different cultural activities and festivals that Madrid Council organizes; we will guide and asist you and give you all the tourist information you might need. 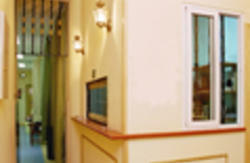 Our Hostel contains 25 spacious rooms, including some equipped to cater for guests with physical disabilities. The rooms vary from 4 to 6 people. Each room is equipped with bunk beds with individual night light, central heating, air conditioning, complete bathroom, personal lockers and key-card entry system. We have a spacious dining room for breakfast, microwave, vending machines (drinks and snacks) and TV. It is divided in two areas where you can relax and watch TV or play some pool or games. Room equipped with computers with free Internet access and WI-FI. Use our exercise bikes, have a ride and get fit! We have washing machines, a dryer and an iron in case you need them. From Barajas Airport: Take metro line 8 to Nuevos Ministerios and change to line 10 and get off in Tribunal metro station. From Atocha Train Station: Take metro line 1 and get off in Tribunal metro station. From Chamartin Train Station: Take metro line 10 and get off in Tribunal metro station. From Tribunal Metro Station: walk up Calle de Barcelo to Calle de Mejia Lequerica. Turn left onto Calle de Mejia Lequerica and walk until you see our hostel on the left-hand side.